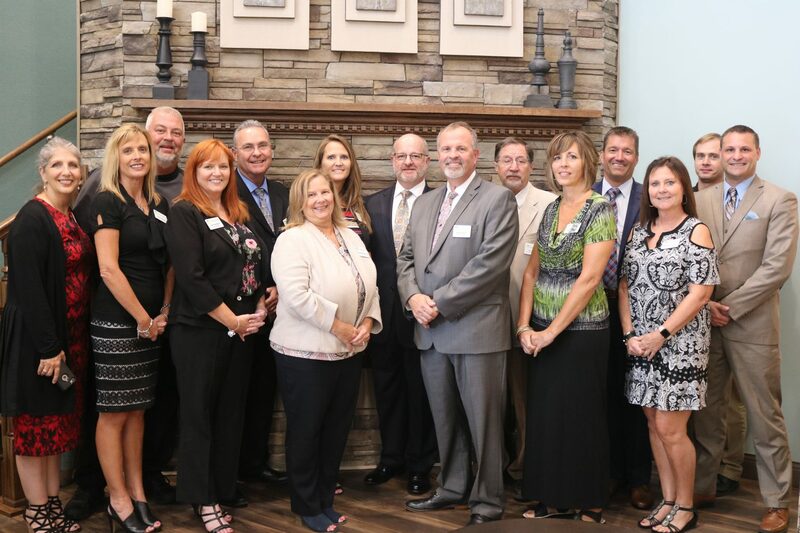 News and information about Congressional visits, social security and retirement income, secrets to aging well, GPS tracking and Alzheimer's, the impact of mental distress on heart disease, 10th anniversary celebrations, Gardant expansion in Indiana, West Virginia and Virginia, and much more. In August, we were honored to have U.S. Rep. Randy Hultgren visit Heritage Woods of Huntley; U.S. Rep. Brad Schneider visit Heritage Woods of Gurnee; and U.S. Rep. Peter Roskam visit Lacey Creek in Downers Grove, Illinois. Live with purpose, socialize more, get plenty of sleep, exercise regularly, and challenge your brain are among the secrets to aging well cited in the Blog by Heidi Godman that was posted on the U.S. News & World Report website. Have Humans Reached Maximum Lifespan? In a related story posted on the U.S. News & World Report website, staff writer Alexa Lardieri cites new research that suggests that humans may be able to live longer than past research indicates. The study was published in the journal Science . The story also notes that the death rate among seniors slows abruptly around the age of 80, with the slower death rate continuing to age 105. For most retirees in the United States, Social Security benefits account for the vast majority of their income during their retirement years, says a report posted on the Think Advisor website. A study by the Wharton School of Business at the University of Pennsylvania predicts that Social Security will go broke faster than you think, says a story posted on the Financial Advisor website. Gardant has opened Glasswater Creek of Lafayette, Indiana. The community, which features 131 private apartments, was the first affordable assisted living community to be developed by the Community Reinvestment Foundation, an Indianapolis-based organization dedicated to providing access to affordable housing for those who need it. 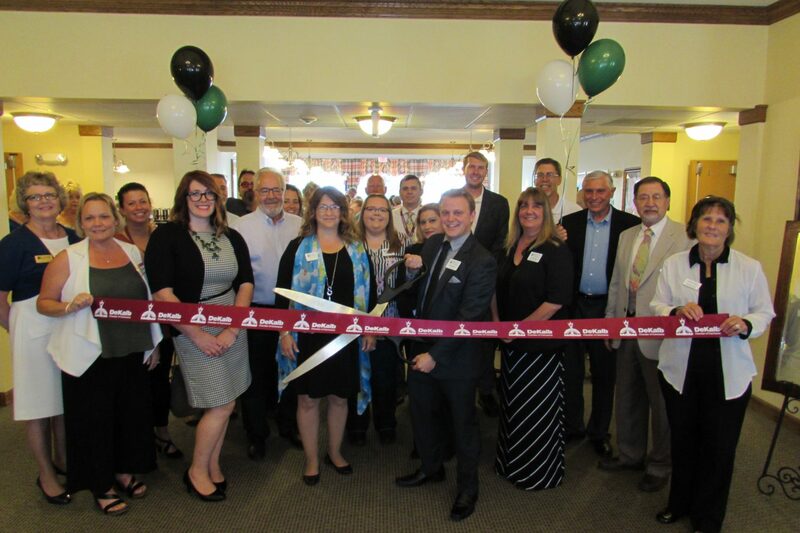 A VIP Preview Party and Ribbon Cutting Ceremony was held on Aug. 3 to mark the completion of construction. Erik Cooper of the Community Reinvestment Foundation talked about why affordable assisted living communities are a perfect fit for CRF. Communities such as Glasswater Creek create the opportunity to serve the countless number of older adults who need some help to maintain their independence but can't afford expensive, market-rate assisted living. It provides the opportunity for residents to live in a residential rather than an institutional environment; and it saves the federal and state government money. At the VIP Party, Indiana State Senator Ron Alting and Rep. Sheila Klinker presented proclamations from the State Senate and House. WHEREAS, Rick Banas, Vice President of Development and Positioning for Gardant Management Solutions, has been nominated for WEGO Health's Patient Leader Award. WHEREAS, Gardant Management Solutions has more than 19 years of industry-acclaimed operational history in developing, managing and consulting for senior living, assisted living and memory care communities. WHEREAS, Gardant Management Solutions is leading the way in senior living through innovative and inclusive approaches to bring value to their business partners and vitality to all residents and employees. 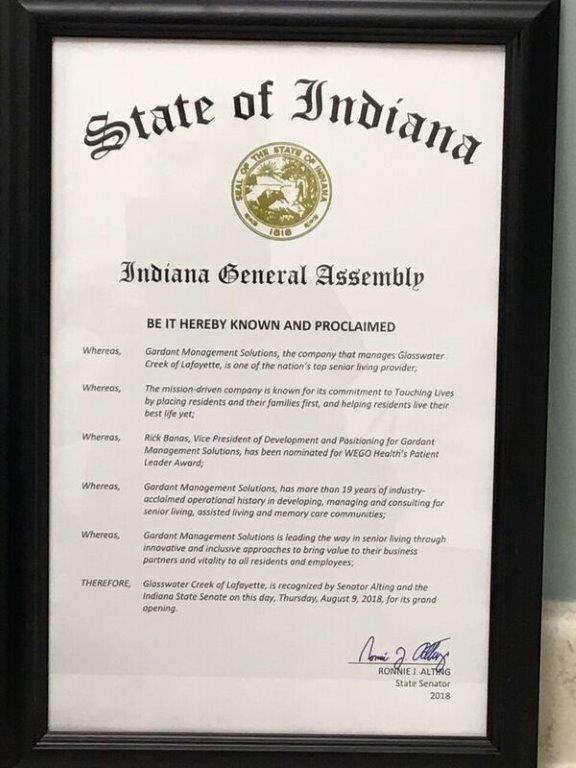 THEREFORE, Glasswater Creek of Lafayette is recognized by Senator Alting and the Indiana State Senate on this day, Thursday, Aug. 9, 2018, for its grand opening. 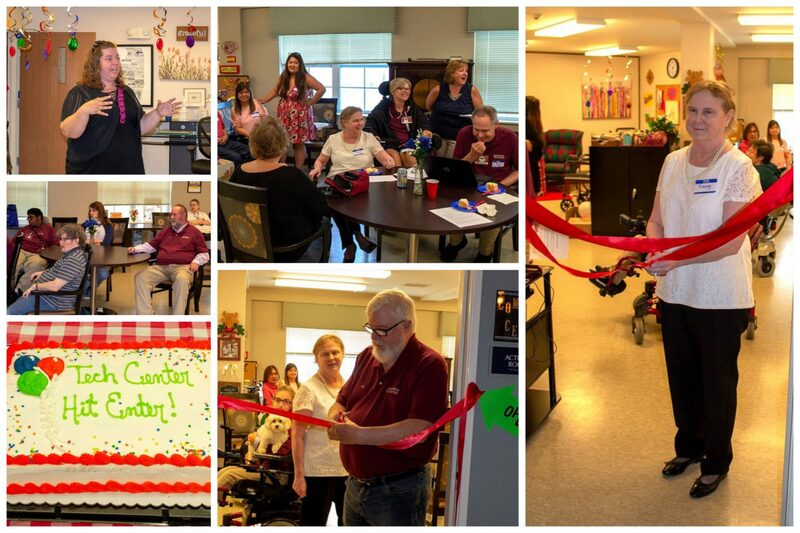 Deer Path of Huntley, an affordable assisted living community for adults with physical disabilities, has opened a new resident computer center and technology lab. 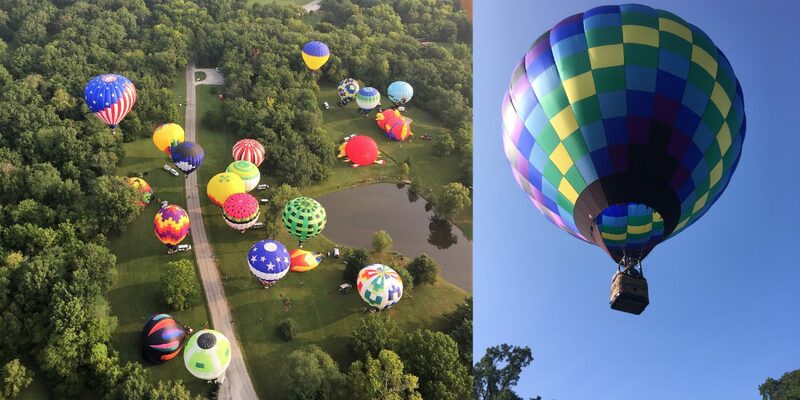 Heritage Woods of Centralia hosted its annual hot air balloon festival, Balloon Fest 2018, in August. A Wisconsin company has plans to begin beta testing a microchip that is programmed with GPS and voice recognition technology by early 2019, says a report posted on the CNBC website. The company feels the most practical application will be for individuals with Alzheimer's disease or related dementia. A story posted recently on the Medical News Today website cites research that indicates that better heart health among older adults may mean a lower risk of dementia and cognitive decline. Also recently posted on the Medical News Today website is a story that describes the symptoms of a urinary track infection (UTI). Among older adults, a UTI can cause confusion, delirium and behavioral changes. Earlier this summer, Heritage Woods of DeKalb celebrated its 10th Anniversary of providing service to older adults who need some help to maintain their independence. 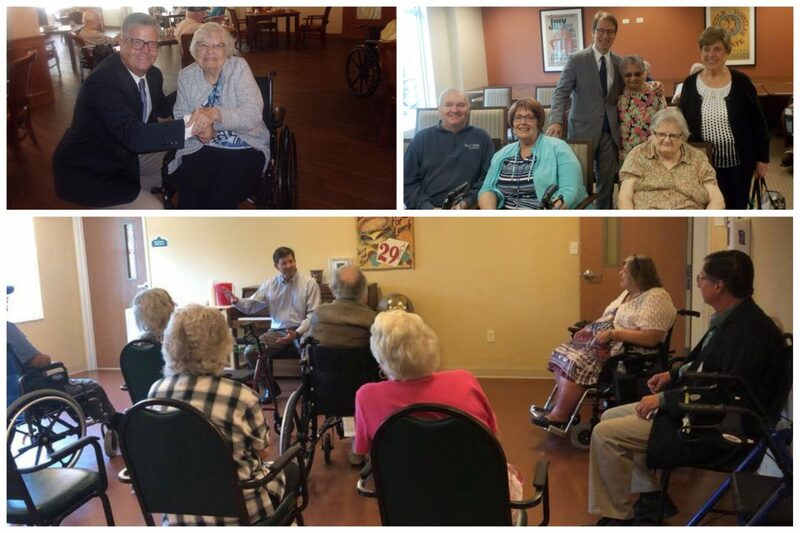 Among those on hand for the celebration at the affordable assisted living community were State Rep. Bob Pritchard; DeKalb Mayor Jerry Smith; and Luke Phalen, Field Representative for Congressman Adam Kinzinger. 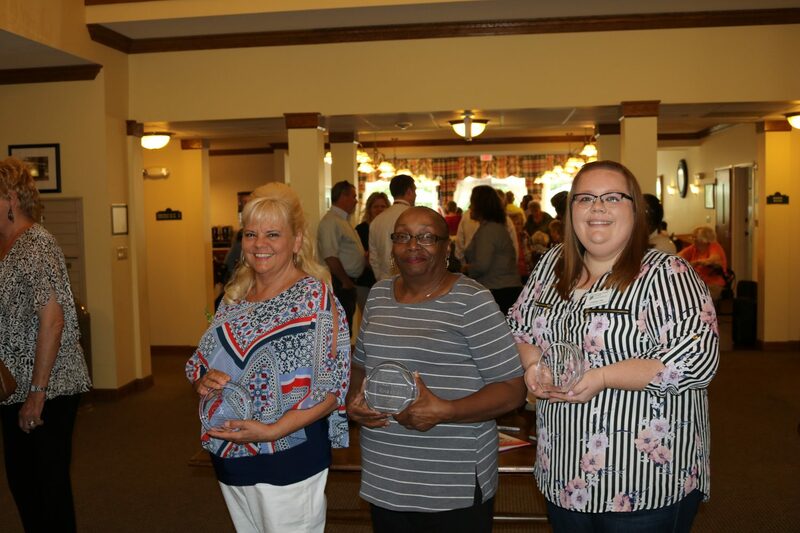 Receiving special recognition for 10 Years of Service were employees Cindy Heyob, Dietary Aide; Linsdey Oas, Resident Services Coordinator; and Rosa Ozier, Certified Nurses Aide. Also celebrating 10 Years of Service was Heritage Woods of McHenry. McHenry Mayor Wayne Jett was on hand for the celebration. Doris Aggerwal, Marilyn Tousignant and Jennie True were honored as 10 Year Residents of the affordable assisted living community. Housekeeper Fernando Cueto and Certified Nurses Aide Tracy McCafferty were honored as 10 Year Employees. New research from Australia suggests that depression, anxiety and other forms of mental distress may increase the likelihood of heart disease among older adults, says a story posted on the Health News website. Gardant recently assumed management of Cedar Grove, an assisted living community in Parkersburg, West Virginia. 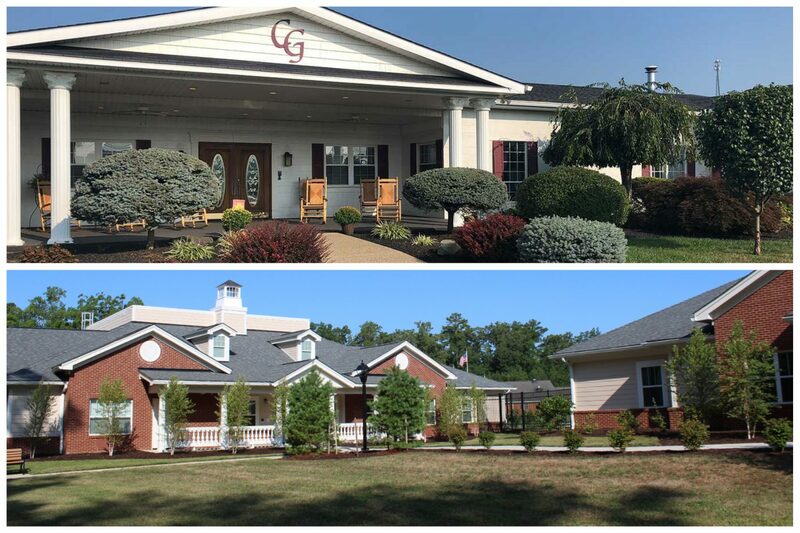 Earlier this summer, Gardant began managing Berkeley Oaks, a memory care community in Williamsburg, Virginia. Research by the AAA Foundation for Traffic Safety indicates that older adults tend to outlive the age at which they can drive safely by seven to ten years, says a story posted on The Washington Post website. Foundation Executive Director Dr. David Yang encourages families to talk early and often about this issue. In a recent Blog, Rick Banas of Gardant reviews the book the "End of Old Age: Living a Longer, More Purposeful Life." Author Marc E. Agronin, M.D., argues that we should embrace aging rather than fight it. Please share the e-newsletter with others and your comments with us. If you have not already done so, we invite you to subscribe to receive future Gardant E-Newsletters. We are sending you this e-newsletter to share news and information that might be of value to you and your loved ones, friends, neighbors and co-workers. The e-newsletter also contains information about Gardant and the senior living, assisted living, supportive living and memory care communities that we manage. to your address book so we'll be sure to land in your inbox.